Precise Handling for a Legendary Ride. 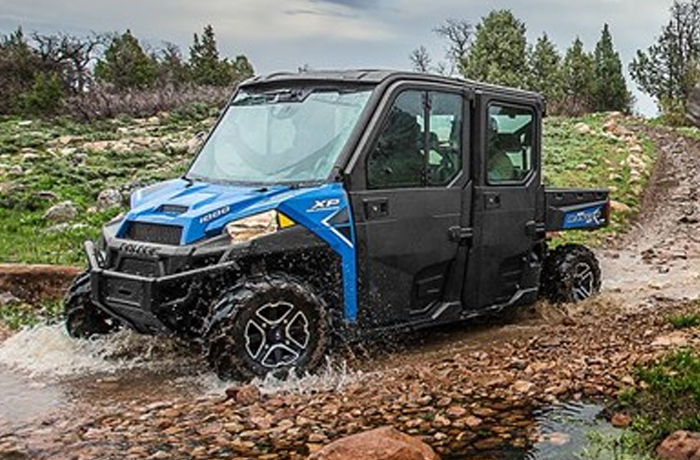 Choose a Polaris Ranger to easily navigate the toughest terrains. Polaris offers the most powerful Ranger utility side by side lineup in the industry so you can tow, haul, and ride your way through the roughest jobs. 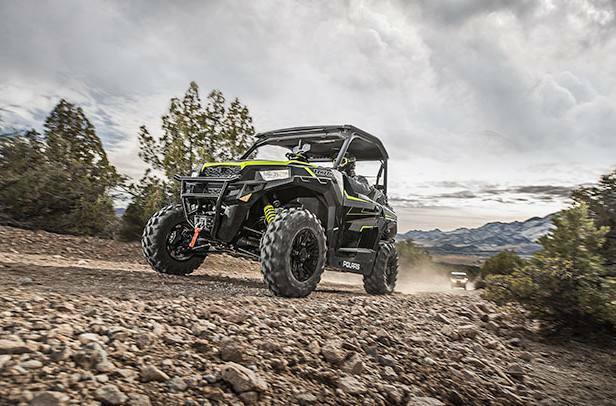 Massive payload and towing capacities are built right into every Polaris side by side, from the 2-seat options all the way to the 6-seat Crew model. Also have the confidence to go farther and do more with the only True On-Demand AWD system. 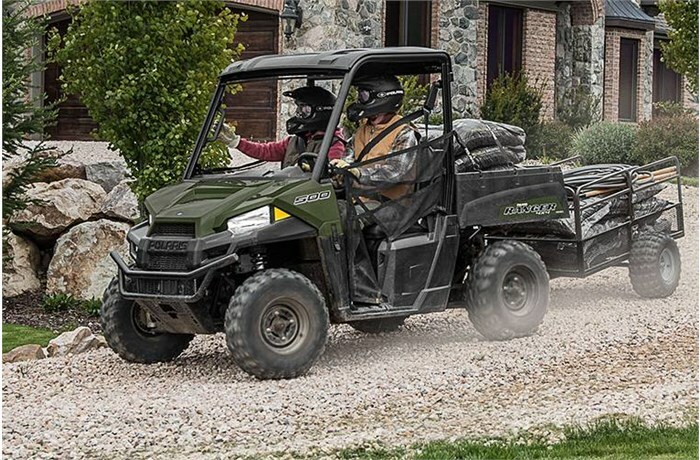 Legendary performance and handling has been the hallmark of the Polaris Ranger from the beginning and Polaris continues to build on that promise. Adjustable suspension across the board and innovations, like self-leveling shocks and air conditioning, ensure you can take on work around the home, farm, or on the hunt and still be comfortable on the trail when you are done. 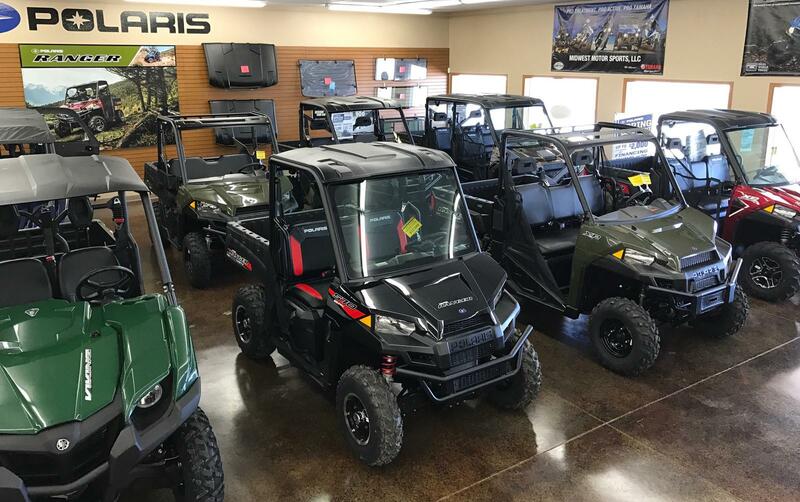 Midwest Motor Sports provides a complete inventory of Polaris side by sides. Feel free to browse some of our most popular models below, or stop in today! 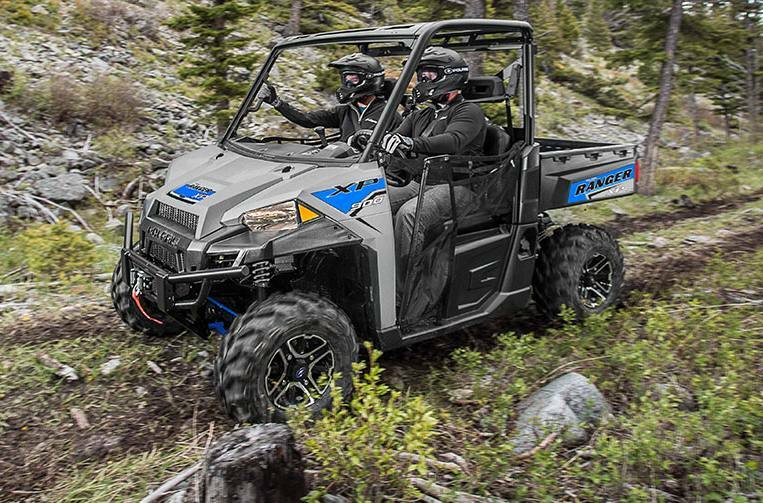 Ride with the pack or go it alone - Polaris General Side by Sides offer 2- and 4-seat configurations. General models offer class-leading towing, a hefty dumping box, and massive payload capacity so you can hunt, explore, and more. The Ranger Crew is for riders who want to take on the trail with all of their friends with an open or enclosed cabin. With room for 4-6 passengers, you can hunt, explore, work, and more, with the most powerful utility Side by Side in the world. Ranger Mid-Size Side by Sides are your compact option, featuring one passenger seat. Ride with Lithium-Ion technology, the first-ever Side by Side to feature it, an ultra-quiet electric motor, a narrow 58" width, and Lock & Ride accessory integration. Work and explore with up to two of your best buds. Ranger Full-Size models provide all-day comfort, up to an 82 HP engine, high ground clearance, and a smooth ride. From farm work to trail rides, Rangers have you covered.